As I reviewed the ingredients for this tea (Lemongrass, peppermint, chamomile, orange peel, lemon balm, fennel, ginger, rose hips, anise, valerian, and hops), a couple of things stood out to me. First of all, this blend contains hops, and this is the first time that I’ve noticed hops being part of a tea blend – other than my own Meadow Nocturne blend (which is no longer available). Hops is an herb that can be used to help one relax, and it is also useful in aiding digestion. 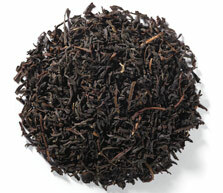 There are probably other teas out there that use hops, I just am not familiar with them. The second thing I noticed is that this is not only a blend that is useful in encouraging a good night’s rest, but can also be quite useful in helping soothe an upset stomach. Not only are hops useful in this area, but peppermint and ginger are also good for digestive issues. This would make an excellent bedtime tea for someone who might have acid reflux! 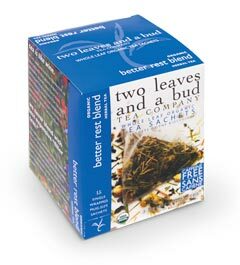 Finally, I noticed that the blend contains fennel and anise – two of my favorite herbs. I love the licorice-y taste of these herbs, and I like how the licorice flavor comes out in this blend. It isn’t a strong, dominate presence, but, it is just enough to give this tea a deliciously different taste from the other “bedtime” herbal teas. And this IS a deliciously different bedtime herbal blend. There is no one flavor or herb that seems to stand out above the others. All seem to work in delightful synergy to create a very smooth, lightly sweet tasting cup that offers a sense of tranquility for not only the mind but also the body. I can taste gentle notes of peppermint, ginger, citrus, and licorice. All of these flavors are tied together with a sweet, honey essence. It is not an overly sweet flavor – it is itself rather calm and gentle, but because of the honey note, it doesn’t need sweetener – a nice bonus! This is truly an EXCELLENT bedtime blend. 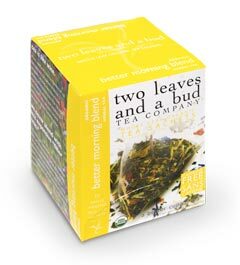 Be sure to stop by the all-new website for Two Leaves and a Bud. Just like this blend – it’s positively lovely! There’s a reason this is our best selling green tea – it has a sweet, light flavor you want in a cuppa’ green tea, without being bitter. How do we do it? These whole tea leaves are gently steamed as they dry. 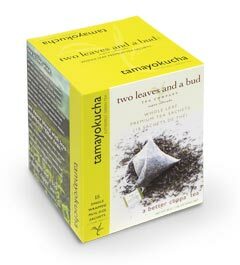 Tamayokucha has a beautiful green hue you’ll enjoy seeing in your cup as much as savoring on your tongue. I recently received a newsletter from Two Leaves and a Bud, and this tea was named their “Steep of the Month.” So, in honor of that, I decided to steep myself a cup of this beautiful tea! I love the color of the brewed liquor. It is the palest hue of chartreuse! The aroma wafting up from my teacup is very light, and smells a little bit like earth and grass after the rain. 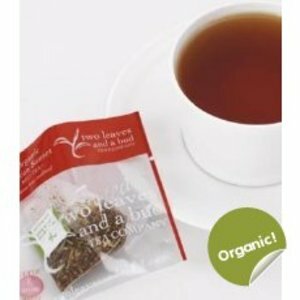 Having reviewed this tea previously, I don’t know that there is much more I can say about how good this tea really is. And it is! It is remarkably light, but yet has a full, well-rounded flavor. There is no bitterness to the taste, just a sweet, slightly nutty flavor, with an agreeable vegetative quality to the cup. A very pleasing buttery characteristic washes over the palate as I sip. I just love revisiting teas like this one. Truly a pleasure!